We love offering custom hostnames under OrgPack, but if you really want to stand out your own domain name is the way to go. Give your organization a unique identity with total control over the names for your services. Whether you're registering a new domain, transferring an existing domain, or looking to extend your registration, we have what you need. Register with us and you'll have no problem integrating your name with our services. Our control panel provides an intuitive interface to manage all aspects of your name. Our domain registration service is an easy addition to your OrgPack. Get a price that rivals industry leaders with personalized service you won't find anywhere else. Our ID Protect service allows you to keep your registration private. Complete control of your DNS records directly from your client portal. No sales pitches for additional services, order a domain and get just that. 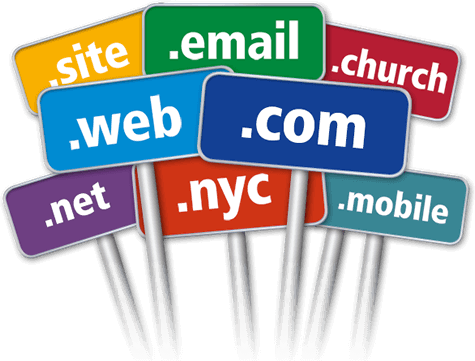 Whether you host with us or you just want a great price we'll give you total control of your domain name. Get even more features such as a website builder, e-commerce platform, and more with our web hosting packages. Get total control of your domain name. Whether you host with us or just want to take advantage of our great prices you'll be able to manage your domain with ease. Start using your new domain name to create your own e-mail addresses. Get free e-mail forwarding with every domain name purchase. Create memorable subdomains using your new name. Have unique names for your different web services, voice server, or jabber servers.